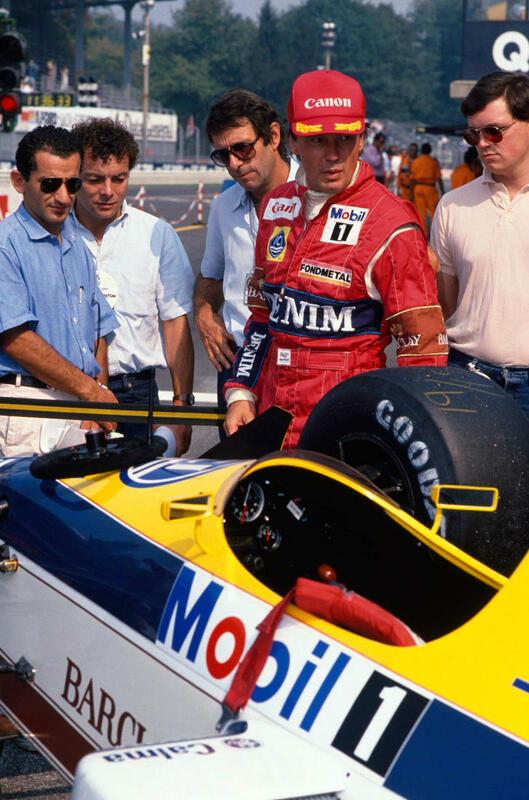 Debut: 1988 Italian Grand Prix, Monza. After the loss of works Honda 1.5l Turbos at the end of 1987 to arch rivals McLaren, Williams was forced to spend a year treading water with a normally aspirated Judd 3.5l V8s before their new partnership with Renault kicked off in 1989. Turbos were still sanctioned for 1988 however, and the team was unable to perform to its high standards of the time. Additionally, from 1984 the team had been trialling an active suspension system, which had made its debut in 1987 and was raced sporadically by the team before eventually being finessed by technology advances and massive testing programmes into the system that was to prove the key feature of the FW14B . Schlesser was tasked with much of the donkey work in the early years of system development. Williams respected him for his approach and technical feedback. When Nigel Mansell was struck down by Chicken Pox before the Belgian Grand Prix, Martin Brundle had been brought in to sub for Nigel while he recovered. Sadly though, “Our Nige” also succumbed to a viral infection, and was unable to recover in time for Monza. This left Williams in a tough situation. Tom Walkinshaw of TWR was unwilling to release Brundle for another event, and a hole could not be found in Roberto Moreno’s Ferrari testing contract in time. At one point, Frank even tried to lure respected Williams alumni and moustache enthusiast Keke Rosberg out of retirement, but to no avail. 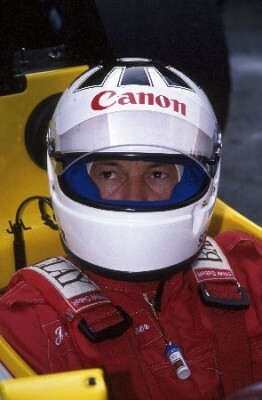 Therefore, Schlesser was put in the car at short notice, due to his connections with the team and status as a known quantity. Having just turned 40, and crucially been out of F1 for 14 months, Schlesser struggled and qualified 22nd, some 2.113 seconds slower than Williams regular Riccardo Patrese, and a stonking 5.608 seconds off Senna’s pole for McLaren. In the race, he worked his way up to 11th and was quietly running his own race. Senna arrived to lap him for the second time at the Retifilio chicane on lap 49. That was the moment Jean-Louis became a hero of the tifosi and the spoiler of the Ron Dennis brand of perfection. He held on to finish 11th. Senna beached himself on a kerb, spoiling not only McLaren’s chance of a perfect 16 wins form 16 races, but also gifting the race to the Ferraris of Gerhard Berger and Michele Alboreto, who finished one-two in that order in the first appearance by the Scuderia at Monza following the death of Founder Enzo Ferrari. Although he obviously didn’t know it at the time, he had inadvertently been responsible for two seminal moments in modern Formula One. Quite a feat for a 40year old in a borrowed Williams. Being unable to improve his Friday practice time due to bending a wishbone after brushing a barrier. Ironically, Schlesser had left Williams at the end of 1987 to contest a sportcar programme in the Sauber C9/88 Mercedes. His call-up to F1 for team Willy was definitely not a planned part of his career. Nigel Mansell took back the car for the rest of the season and Schlesser continued in sportscars, with considerable success. Given the circumstances, nothing much was expected of Schlesser, and this he duly delivered. In many ways this could be considered the nadir of Williams’ 1988 season. A known quantity to the team literally filling a seat for a race with all parties hoping for the best. However, I look on it more positively. 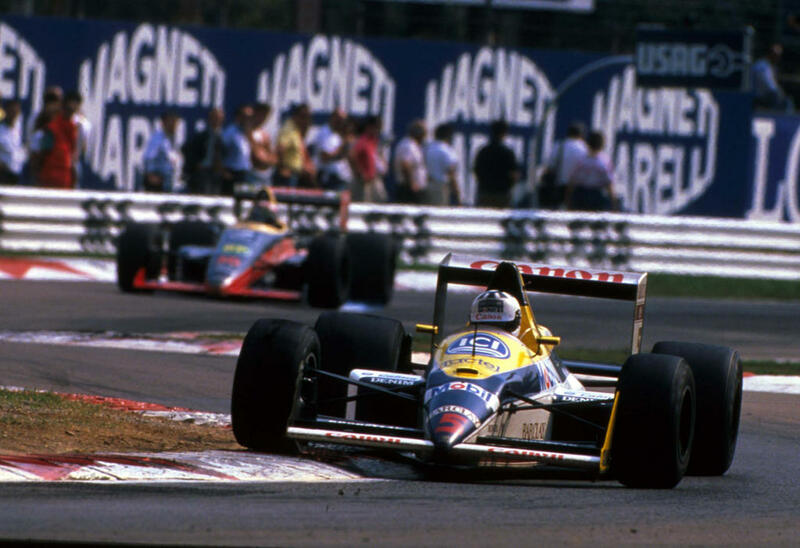 This was a glory run for a driver who made as big a contribution as anyone to the FW14B, while also giving Ferrari their perfect day. A gazillion tifosi will back me up. He also exacted accidental revenge on McLaren for stealing Honda and caused Ron Dennis more annoyance than anybody except Nigel Stepney. When one looks at it like that, all I can say is “Thankyou” Jean-Louis from the bottom of my heart!